Use promo code BELFAST200 and save $200! Since 1990, YogaWorks has been a leader in yoga education, and our celebrated alumni have gone on to become some of the world’s most renowned yoga teachers. The YogaWorks Yoga Teacher Training program blends yoga traditions from the east and west, integrating both into a practical and unique method that combines vinyasa flow with an emphasis on alignment and skillful sequencing. Our mission is to provide each student with the necessary foundation to skillfully teach yoga with compassion, safety and integrity, while honoring his or her individual voice and style. Whether you join us to become a yoga teacher or simply to deepen your own yoga practice, the YogaWorks yoga teacher training will uniquely prepare you to leave your mark on the world. Click here to learn more about the YogaWorks Yoga Teacher Training and what sets us apart. Monday – Friday | 8:00 a.m. – 5:00 p.m. In addition to in-class hours students are required to take 12 yoga classes to experience different styles, levels and methodologies. Tuition must be paid in full by the early registration date to receive the discounted rate. Payment Plans available off the full price plus a $50 admin fee, full tuition must be paid by the start date of the program. Contact us for more details. We recommend 1 year of consistent yoga practice and require a minimum of six months of a consistence yoga practice or equivalent training. Jessica Seabern has over 20 years of teaching, training, leading retreats and consulting experience. As a lifelong athlete, she began her early yoga training in the ashtanga method, which led her to an eclectic style of teaching that is now strongly influenced by a variety of methodologies and traditions. Her classes offer a vigorous and challenging practice while integrating prana, philosophy, and focus. 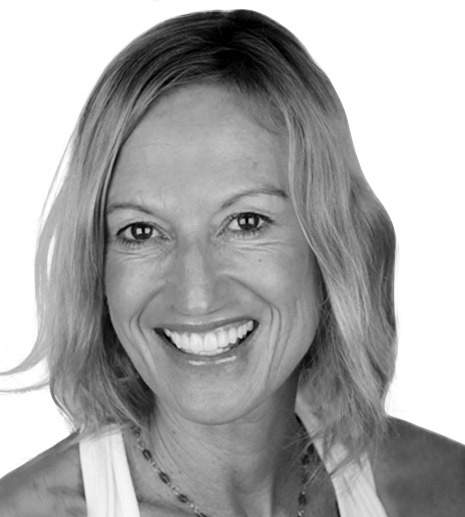 She blends the heat building and detoxifying teachings of ashtanga with lighthearted yet specific instruction in a flow of asanas emphasizing alignment and safe practice. Jessica’s goal is for her students to leave feeling uplifted, inspired, peaceful and strong. Jessica teaches to encourage space, strength and connections both physically and mentally. She practices to release the mind stuff and try to be present and cultivate santosha. Her teaching inspiration comes from her children and her students. Watching them grow encourages her own self to continue to grow. Jessica has been a 200-Hour and 300-Hour teacher trainer and mentor for YogaWorks since 2007. Click here to learn more about Jessica Seabern.